Twenty years ago, the Japanese government donated a grand piano to the Gaza Strip. On Sunday, November 25, the musical instrument made its public debut for the first time in over a decade. The piano was restored last month by experts from the Belgian charity “Music Fund,” after surviving three wars and being left abandoned in a theatre that was destroyed by Israeli airstrikes. It took four years to restore the Yamaha piano, built between 1997 and 1998. 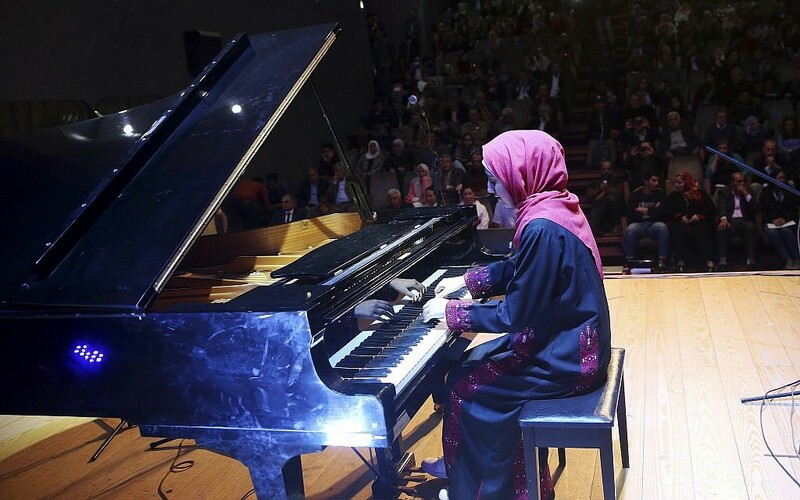 The piano was put to the test for a 300-strong crowd at a theatre nestled in the Palestinian Red Crescent Society’s building, and it was magical. Its black & white keys were smoothly played by Japanese and local artists. This was the first time many of the attendees had ever heard a piano played live, including 22-year-old Yasmin Elian. “I liked how people interacted” with the artists, she said. “This encourages me to learn piano,” she said. The Edward Said Conservatory, with 180 students, is Gaza's only music school. Sadly, "it suffers a lack of funding and operates in several rented rooms at the rescue services’ main ambulance station," according to AFP.